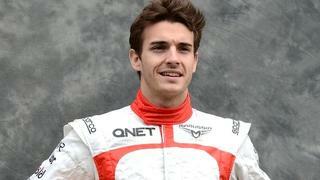 sportupdate5 – French Marussia Formula 1 driver, Jules Bianchi, 26 who had crash at Japanese Grand Prix held on Suzuka Circuit Oct 5th 2014, and had been in coma suffering head injuries since then, has died. “Jules fought right to the very end, aa he always did, but today his battle came to an end. The pain we feel is immense and indescribable”, his family said in a statement. ← Transfer Sterling! mahal dan blunder? ?